Submitted by Migrate Wizard on 2015-06-06 06:36. Did you ever want more realistic zombies that actually rise from the dead. Well then you're in luck, because the new SGW Rise Zombies is what you have been looking for. 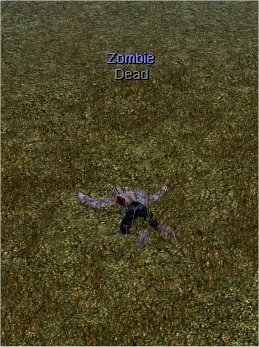 This zombie will lay on the ground DEAD, until a PC gets within 6 meters of it. It will then Rise from the ground and Attack the PC. Really scary and very easy to use. Just import and paint into module or use any spawn system. Also included in ERF is a Non-Rise Zombies. Use these to confuse players a little. This way they will not now when to expect a Zombie to rise and which ones will not.